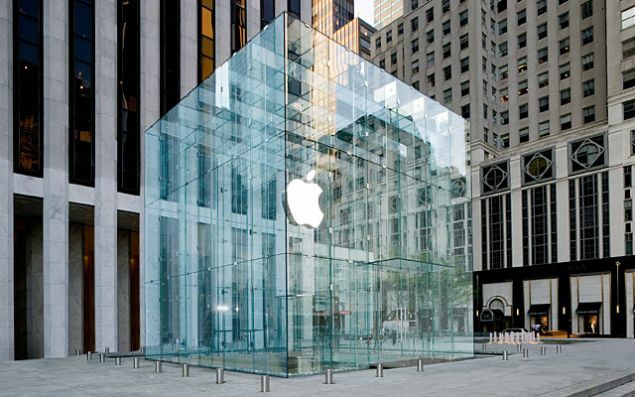 Apple has registered for the campus placements which will be conducted either in Banglore or Hyderabad. Apart from Apple other tech companies including Microsoft, Google, and Philips are among the registrants. This is a perfect opportunity for the students to prove their skills and set up their career in big tech companies. About 350 students from B.Tech, BE, MTech and MSc (research) streams have registered for the placement drive. The International Institute of Information Technology campus recruitment drive is all set to begin in December. Mr. Prasad said, ” Majority of them are offering jobs for product development and research and development profiles.” Students who are well trained with Python computing language would be preferred. He added that tech companies would be conducting technical interviews in December. Whatsapp, the social messaging platform which doesn’t require any introduction has rolled out a new update exclusively to iPhone users. 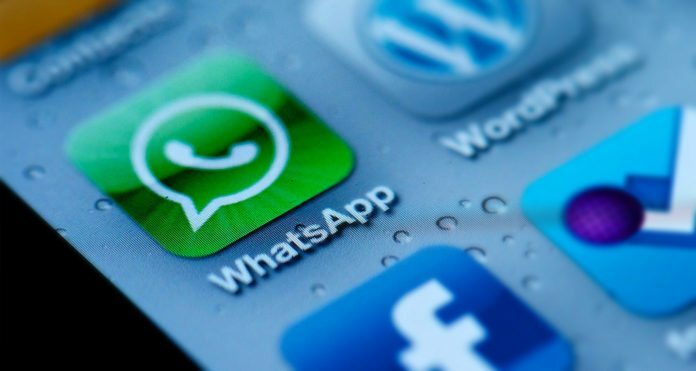 According to the update, apple or iOS users can now send WhatsApp messages without the Internet connection. Before this update, iPhone users can’t have the send option to send a message when there’s no internet connection or mobile signal. So they have to go back and sent it when back online. So users have faced many difficulties while traveling on trains and metros. But now the latest update makes user’s Whatsapp Messages to queued up and can be sent after getting internet connection or signal. While this feature is not yet available for Android users and millions of iOS users will be delighted by hearing this news. “You can now tap and send on messages when you don’t have a connection. Messages will be queued up and sent when your phone regains a connection,” WhatsApp wrote in the description. All iPhone users with iOS 7 or higher can update their WhatsApp to the newer version 2.17.1 will receive these features. With update size of 91.2MB, it brings some new features like revamped memory usage screen and option to send up to 30 photos or videos at once. The newly designed storage usage screen will allow users to manage their phone’s storage by clearing certain message types like photos and videos from specific chats. In these days Whatsapp is in the news for some fake news like Whatsapp is going to be charging money and Facebook could read WhatsApp messages using a security back door in their system. However, none of them were found true. Along with the commercial release of iOS 10.2.1 to all iPhone and iPad users, Apple also introduced iOS 10.3 Beta for developers. The newly released Beta 1 version includes several useful features that help you to find the misplaced AirPods. 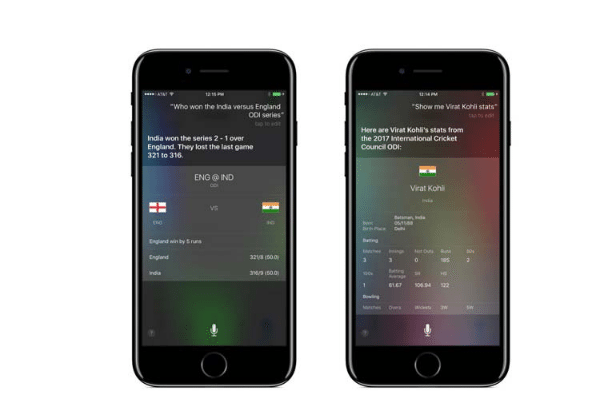 The big highlight of being Siri is it shows the live scores from Indian Premier League (IPL) and International Cricket Council (ICC) matches. Users are now free with answering other queries. The iOS 10.3 Beta 1 version also brings the Find my AirPods feature. Furthermore, Apple also included an API which allows the app developers to ask for a review and even reply to the questions. This version comes with a support of AirPods in Find my iPhone app. 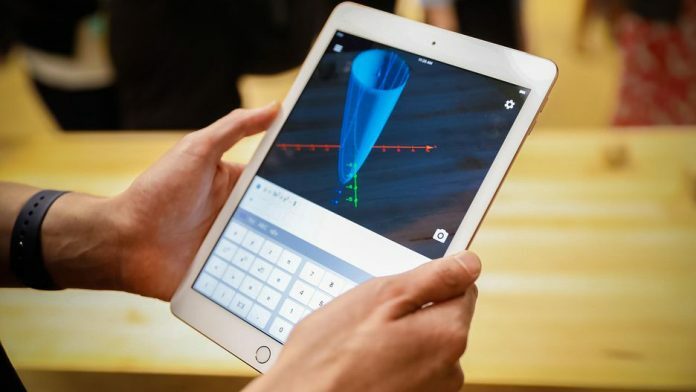 Hence through this, users can search for AirPods as long as they are within the Bluetooth range that any of the iOS devices signed into iCloud. However, because of its limited range, people cannot find the devices for larger distances. Moreover, it will be very useful if you lose your AirPods somewhere in the house. The AirPods emits a loud sound which reveals its hidden place or map on the onscreen can take you to lost earbud. What are the 2016 IPL rankings? Who leads the IPL in runs score? When is the next cricket match? Who took the most wickets in last year IPL? The iOS 10.3 Beta version in settings app gets a new interface. The profile menu has your name, photo and all the important details. The iCloud setting introduces a nice graphic display which shows your storage space. Apart from this, iOS 10.3 Beta 1 brings the next-generation APFS file system replaces the old HFS file system. CarPlay adds the shortcut to two apps, i.e., Music displays UP Next, and Maps display EV charging stations. The 3D touch on weather icon on Maps lets you get hourly forecasts. Currently, the iOS 10.3 Beta available for developers only and it will soon roll out for public. E-commerce giant Flipkart has announced a mega sale on Apple products named Apple Fest from January 10 to January 13 to offer great deals on all kinds of Apple devices such as iPhone 6s, iPhone 7, Apple Watch and more devices. Not only these, few Apple accessories like back cover, lighting cable, Apple keyboards and mouses have also provide at efficient prices. Additionally, Flipkart is offering 5 percent off on all credit card and debit cards on the purchase of iPhone 6. Flipkart also offers up to Rs 23,000 off on exchange of old mobiles. However, Apple’s collaboration with Flipkart to sell the iPhones during the festival season has underwritten almost 56 percent to the total Flipkart sales. Below mentioned are the Flipkart Deals on Apple Devices. The iPhone 7 Plus (128GB) jet black color variant is currently selling at a price of Rs 82,000, and Flipkart is giving up to Rs 23,000 discount on exchange and 5 percent off on Axis Bank credit cards. The regular EMI begins from Rs 3,976 per month, and no cost EMI plan starts from Rs 6,834. Apart from this, the leading e-commerce giant is giving Rs 3000 off on regular exchange value. The 256GB size variant of the jet Black iPhone 7 Plus is priced at Rs 92,000, and the 32GB variant is available for Rs 70,399. Apple iPhone 7 (128GB) jet black is available for Rs 65000 after getting a discount of 7 percent. The regular EMI starts at Rs 3,152 per month, and the EMI is available starting at Rs 5417 per month. So, buyers will get Rs 5,000 discount in addition to extra 3,000 off on exchange. There is up to Rs 23000 discount on exchange and Axis Bank buzz credit card users can get additional 5 percent discount. Flipkart is selling iPhone 7 (32GB) Rose gold at Rs 55,000 after applying a 7 percent discount. There is no cost EMI available for the iPhone and buyers will get Rs 23,000 discount on exchange and an additional Rs 3,000 discount on regular exchange value. The 128GB size variant of Apple iPhone 7 Rose Gold is selling at Rs 65,000 and 256GBvaraint is selling at Rs 75,000 after a discount of 6 percent.